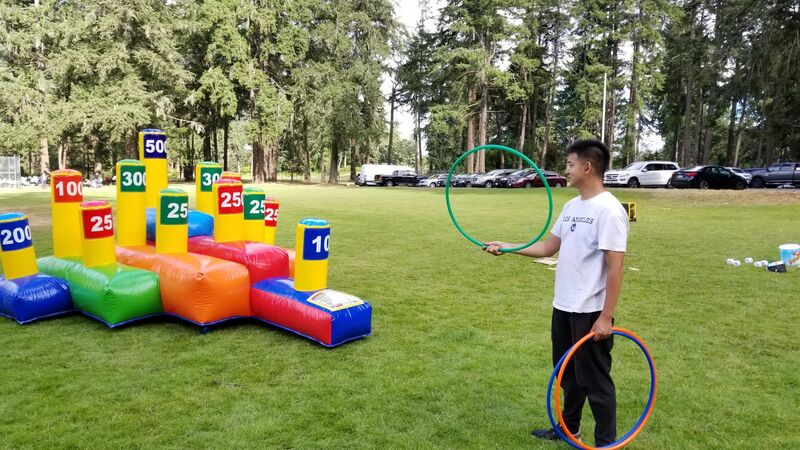 Get one of our most popular inflatable games for your next event. Our new Giant Inflatable Hoop Ring Toss Game is Hoops of fun for all ages. Challengers will throw 3 Hula Hoops to ring the highest point total. This is great choice for schools carnivals, birthday parties, church socials, summer camps, corporate events and family parties. You can entertain your guests for hours with this Giant Ring Toss game.